Stardew Valley is an escape fantasy; it’s not an escape to some far-off, magical land, however, it’s very much an escape from modern hardships. You start with a letter from your dying grandfather that you are to open when the struggles and monotony of modern life have become too much; inside lies the deed to your grandfather’s farm and a message hoping that you will be reminded of what really matters, which is real connections with people. Once you arrive in Pelican Town, the main area of Stardew Valley, you’re left relatively to your own devices. Though quests that range from spending hours delving in the mines to just harvesting some parsnips will generally introduce you to most mechanics or incentivize you to try something else, you’re always free to just go off and do as you please. 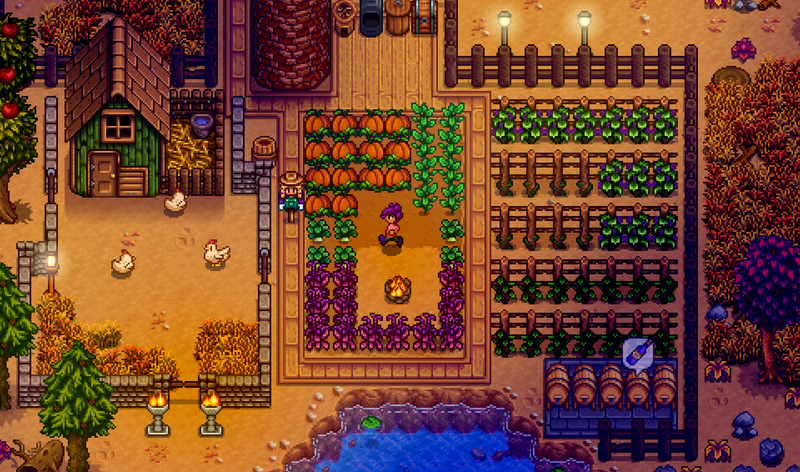 While you’ll very quickly fall into a rhythm, Stardew Valley manages to feel anything but monotonous because of the sheer variety of tasks at hand. 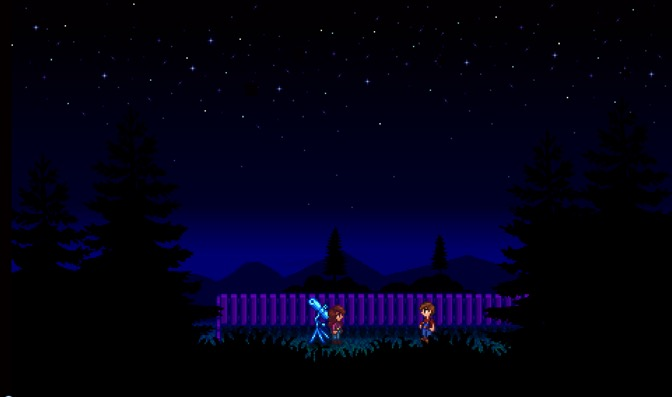 This escape fantasy is where the true joy and genius of Stardew Valley lies; while you’re always pushed towards accomplishing more and greater things, delving deeper into the mines, creating a bigger and better farm, getting married, catching the best fish, etc., there is no time limit for any of these things. This means that, while I can’t help myself and always try to do as much within the short days as possible, there’s always just another day, another season, even just another year. This lack of pressure combined with the abundance of things your farmer can get up to are what make the gameplay cycle of Stardew Valley so perfect. You’ll start every day with a few tasks in mind (gotta water my plants, pick up the eggs, make mayonnaise, talk to Emily, talk to Elliot, go to the mines, etc. etc. etc.) But invariably you’ll find something new, complete one task and focus your attentions on another, or simply run out of time. This leads to the addicting nature of just saying “one more day. I’m so close to being able to date Alex,” or “one more day. I just need one more Iridium ore to upgrade my pickaxe.” This constant sense of being one step away at all times is almost masterfully crafted. 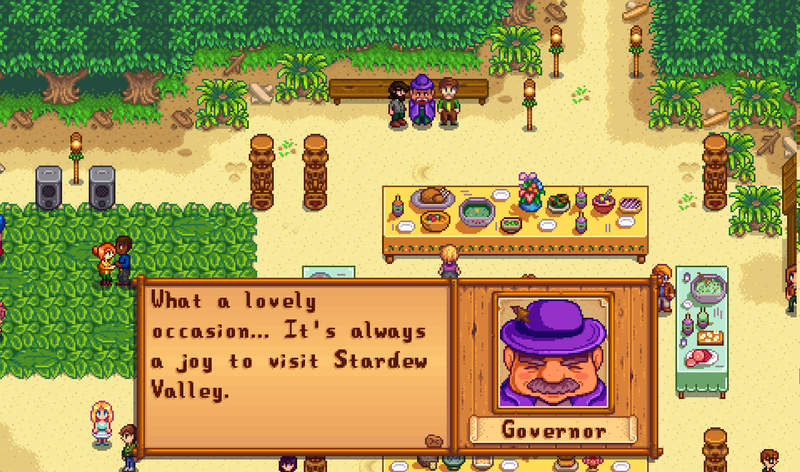 But one of the things your grandpa specifically told you to be doing is really connecting with other people, and the other villagers are where Stardew Valley truly shines. I can say without hesitation that missing out on any of the characters’ stories, especially the bachelors and bachelorettes, is missing out on one of the most powerful parts of the game. At face value, all of the villagers seem fairly archetypal and one-note; there’s the jock, the valley girl, the goths, the too-pure school teacher, the nerdy doctor, and more. However as you get to know these characters, remarkably real and human stories begin to unfold. Characters dealing with everything from addictions to lack of purpose to simply feeling stuck bring a sense of welcome weight to the otherwise idyllic Pelican Town. Also, if you don’t marry Penny you’re a bad person because she deserves a better life and she is too pure. Unfortunately, Stardew Valley is not without its faults on the console version. These run the gamut of mildly annoying to downright unforgivable. In the former, there are nuisances like the question of why the hell a console game uses a cursor for inventory management. In the latter, there are issues from all-too-common crashes during saving, which will lose you a whole day’s progress and happened to me 3 times in my first in-game year, to even larger problems like inexplicable loading failure; my partner personally lost access to a 60+ hour save file and the developer has no idea how to fix the issue. These technical issues are truly unfortunate damages on an otherwise lovely and damn near perfect experience. I simply have never played a game as aggressively pleasant, nor have I ever felt such a draw to keep playing. Though the technical issues are always a concern, I truly enjoy every single moment I have with Stardew Valley.